Santa Clara Valley Complete Services, Inc.
M & O Gutters, Inc. Comment: I need someone to clean the roof, make sure flashing is sealed and installer new gutters. Comment: Some of the seams at the corners are leaking. Comment: My tenant noticed leaking from the outer corner of the overhang. It looks like thereâs a leak in the gutter. Iâd like it assessed and repaired as soon as possible. Comment: We are a 17 unit townhouse complex. Shake roof still good but we have a few gutters with rusted bottoms. We plan to paint complex in fall and should replace problem gutters before (or at same time?) Should gutters be replaced prior to painting or by paint contractor? Can sections of gutters be replaced without roof damage? Comment: Typical 1950's Ranch Style house. Comment: Painting exterior. Need replacement gutters immediately ..
Mountain View Gutter Cleaning & Repair Services are rated 4.69 out of 5 based on 586 reviews of 9 pros. 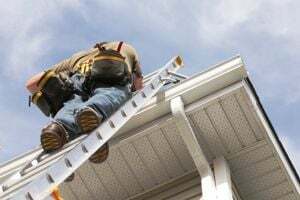 Not Looking for Gutters Contractors in Mountain View, CA?